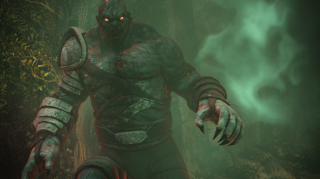 We mentioned last week that the Nosgoth open beta was set to begin today, and so it has, right on schedule. The game is now available for free on Steam, and to mark the big day Square Enix has pumped out a new trailer showing off the game's eight classes in action. The multiplayer Nosgoth is based on a centuries-long, world-consuming war between humans and vampires. As the trailer makes abundantly clear, the human side of this conflict has access to some pretty sweet party favors, but they prove awfully squishy when the physically dominant vampires get in close. It's free, as mentioned, but if you find yourself having enough fun to want to throw money at it, there are options for that as well, in the form of various "packs" ranging from $17 to $60. Oddly enough, I can't find any descriptions of what's actually in the packs, although they might be explained within the game itself—either way, you might want to exercise a little due diligence before you start waving your credit card around.